Naga Chaitanya posted a picture on social media today announcing that he and Mrs.Akkineni will be coming together for a fun campaign even before working together on a film. Fans of the cute couple are a happy group and are elated to see them together after a long time. While it is yet to be revealed what the fun campaign would be, reports suggest that it could be for a charity event that the couple would be participating in. Naga Chaitanya and Samantha Akkineni last acted together in Autonagar Surya which was directed by Deva Katta. The cutest couple of Tollywood, as fans love to call them, haven’t since acted in a film together. 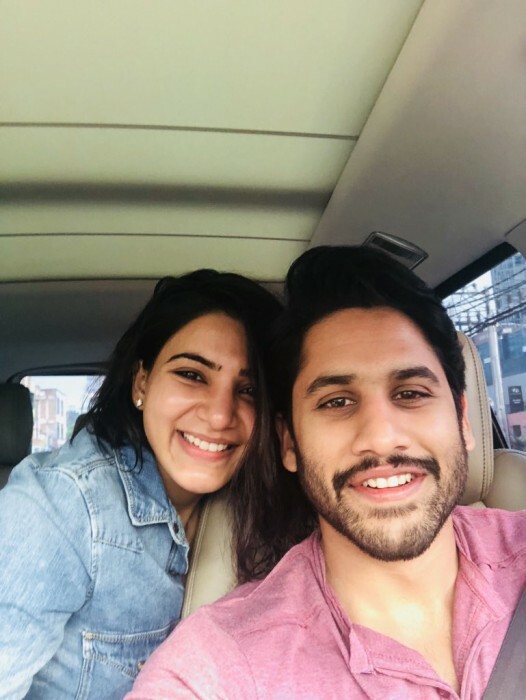 With the news of the couple of coming together getting confirmed, fans of Chay-Sam are waiting eagerly to watch them spell their magic on the silverscreen. While they are busy with their respective projects, Chaitanya and Samantha ensure that they take time out for each other. Samantha Akkineni, in particular, keeps posting pictures on her social media platforms and the couple PDA is loved by fans. Talking about their upcoming film together, Naga Chaitanya made an official announcement about the film which is said to be a romantic story and will have the actors playing love birds. “Happy to announce my next directed by shiva produced by @Shine_Screens and will be sharing screen space (if she gives me any 😉 )with my better half @Samanthaprabhu2 ..feels good to be back to being able to take you through another journey of love,” wrote Chay on his Twitter handle. There is something so annoying about this woman. And whats up with the balloon face? Her face changes every day. She looked so good before all the surgeries.